German Orders of Battle before the summer offensive in Russia (Operation Blue) of June 24, 1942. The German Orders of Battle and distribution of the divisions from the Wehrmacht and subordinated units of allies shortly before the summer offensive in Russia (Operation Blue, starting June 28, 1942) and the tank inventory from the beginning of the year with known numbers of tank models in the summer of 1942. 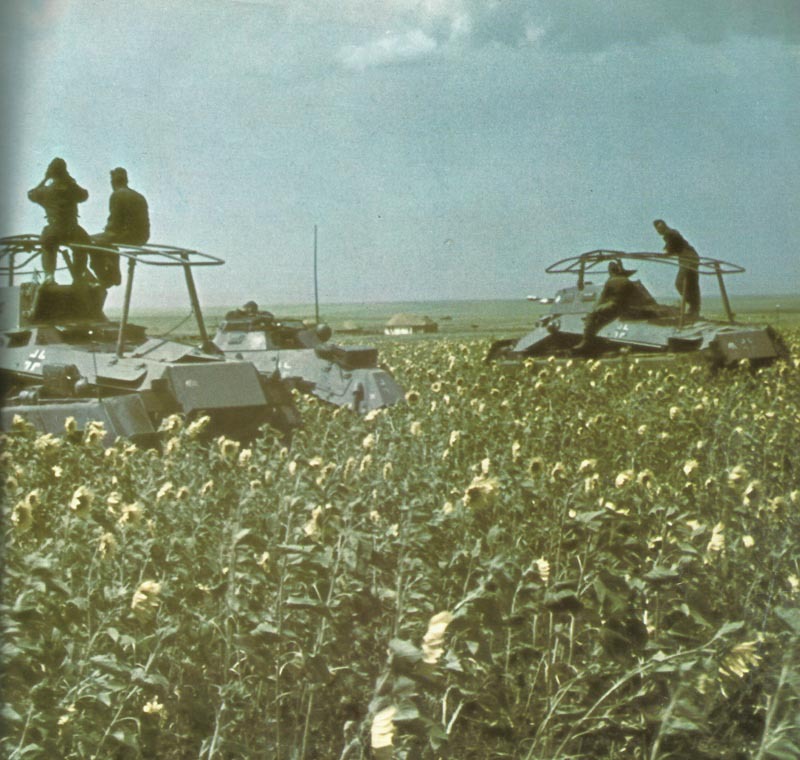 German armored cars at the beginning of the ‘Operation Blue’ in the Donets Basin Steppes in the summer of 1942. Armored Cars 3 ? – ? We want order of battle 1944!!! PLZ! Nice job; usefull. Gives a sense of how dysfunctional German organization was becoming after 1941-42 Soviet Winter Offensive. Was SS Totenkopf a pz or pzg in June, 1942? 3 SS Totenkopf reorganized from Oct 42 – Jan 43 to a Panzer Division. 1,2,3 were no panzerdivisions nor Panzergrenadierdivisions. The were somewhat of a mot. Inf. Division in June 1942. Which is 1,2,3 ? The SS divisions ? In this case: In mid-1942 the Leibstandarte, Reich, Totenkopf and Wiking received Panzer IV tanks, so that they could be classified as panzer grenadier divisions. the II SS Panzer Corps was made up of 1st LSSAH, 2nd Das Reich, & 3rd Totenkopf, constituted in early ’43.